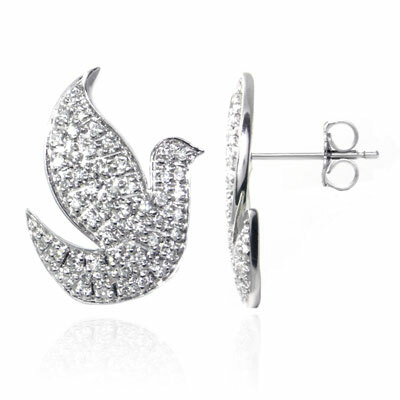 As a symbol of peace and love, the shape of a dove makes a good decoration for these wonderful earrings. Along with its charismatic look, the earrings would show everyone about how you love serenity and believe in cooperation rather than confrontation. Beside that, the quality of the earrings is surely reliable as it is made with the first-class white gold and diamonds, chosen carefully for this purpose.